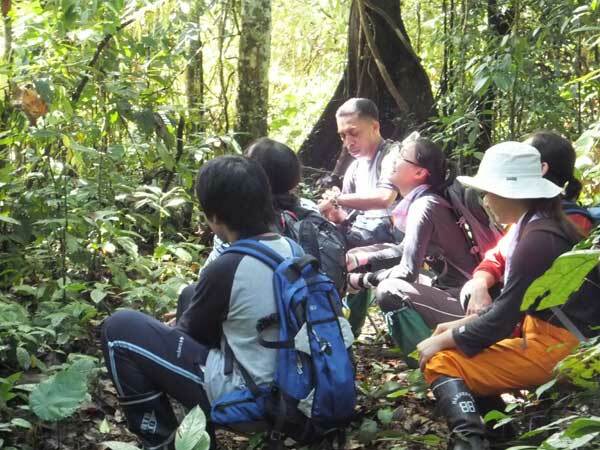 ĄĄWe stayed in the Borneo Rainforest Lodge located in the Danum Valley Conservation Area, Sabah, Malaysia, from 23 to 28 November to observe the wildorangutans and study about diversity of animals and plants. During those days,we could observe various orangutans every day. We observed Abu and Beth's family this year too, so we could prepare them this year to last year. We observed interesting actions; for example, Khay (a male child orangutan) playedtricks on Arctictis binturong and Abu (a male adult orangutan) tore off the bark by his mouth or hand. 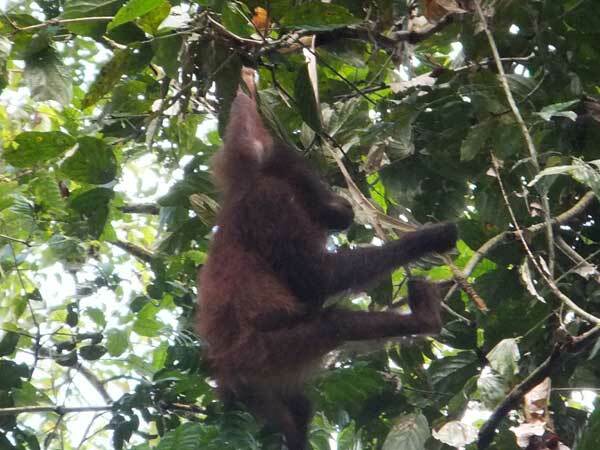 We also knew how the primate researchers collected the data and how difficult it was to research wild primates.